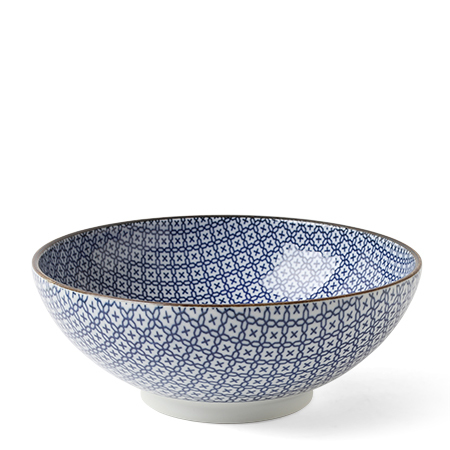 Blue and white is the new neutral and this traditional mosaic pattern is made modern in this beautiful bowl. It is perfect as a fruit bowl, serving vegetables, pasta, or any sides. Makes a great housewarming, hostess, or any occasion gift.